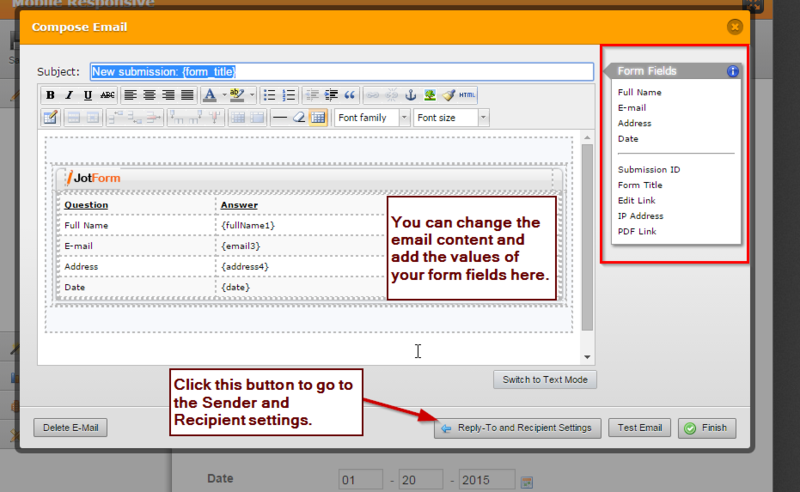 How To Change Recipient Email Address of Form? You can do that by navigating to the form's "Emails" setting. Here a quick guide on how to do that. 1. Click "Emails" in the toolbar, you can choose a notification to edit or add new ones. 2. Inside the "Compose Email" window, you can totally changed the appearance or template of the email, you can also select which form field values to display or share. After that, you can click the "Reply-To and Recipient Settings" button. 3. 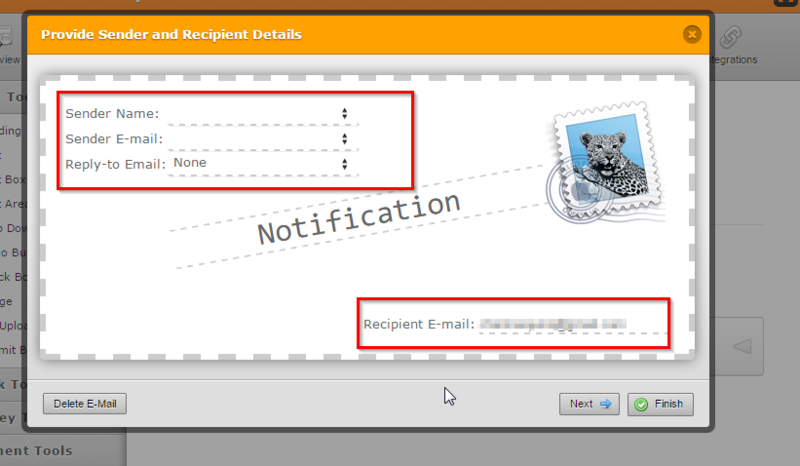 You will then see this window, from here you can edit the Sender and Recipient email details. I hope this helps. Do let us know if you need more assistance on this.